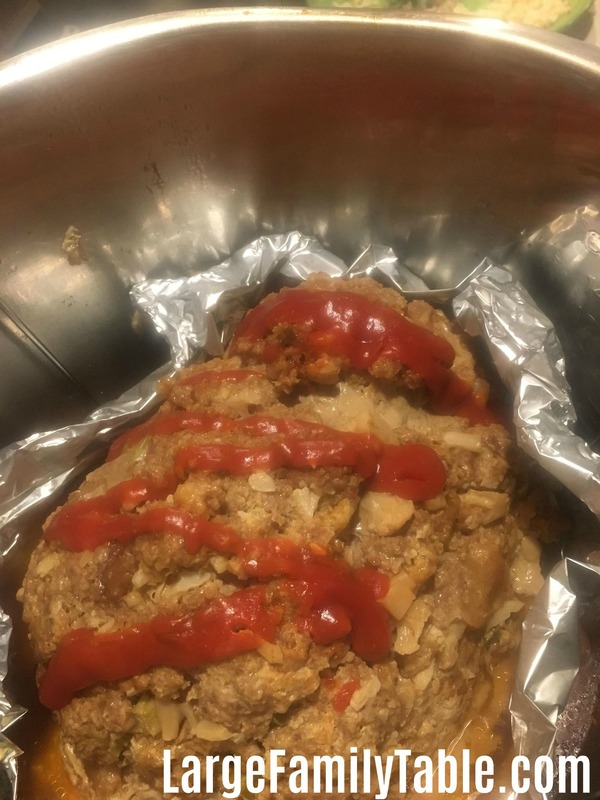 I made this Low Carb Meat Loaf as a Keto Instant Pot Freezer Meal with pork rinds after several YouTube viewers gave me the idea. 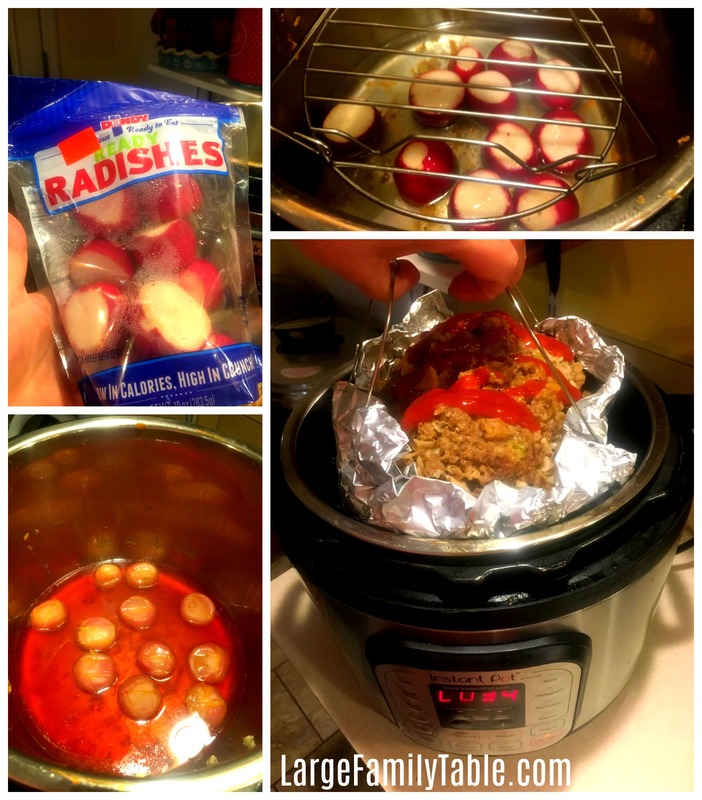 I also cooked radishes on the bottom layer of my Instant Pot as “pretend” potatoes. That’s right, radishes of all things can take on a taste similar to potatoes which sure is helpful when you’re watching your carbs. Of course, I made this Keto meatloaf large family size and made two while I was at it. I used pasture raised ground beef in my meatloaves. You can use whatever meat you have on hand. Even mix up your meats such as blending sausage, turkey, or ground beef if you’d like. 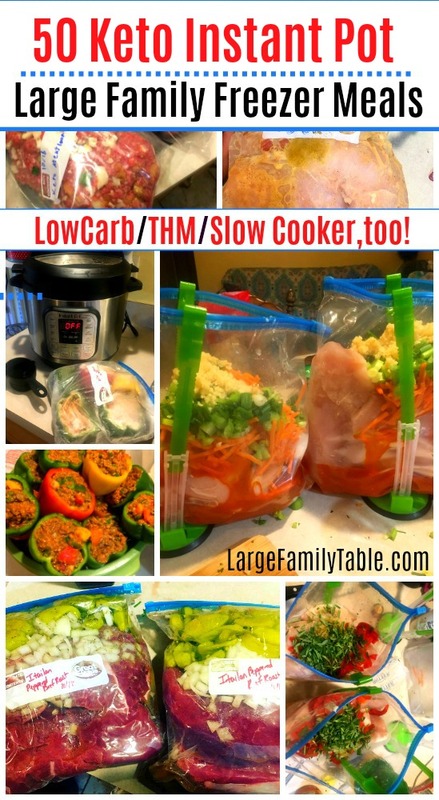 Make ahead several low carb meatloaves to serve up as quick and healthy large family dinners for your crew! Add in a layer of radishes to be “pretend” potatoes or use real cubed potatoes instead (to serve to the family members eating carbs :). 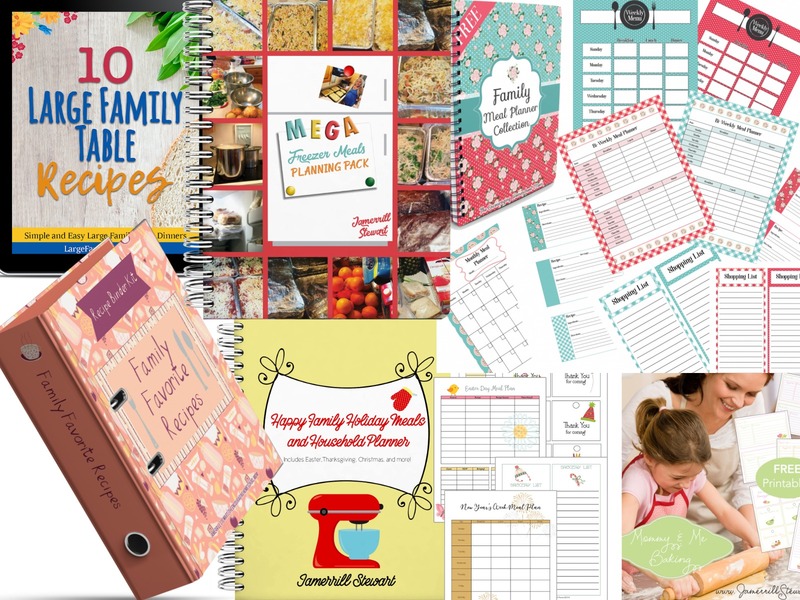 Mix all the above ingredients well in a large mixing bowl (this is my affiliate link for the 30-quart mixing bowl I use for much of my large family cooking). Divide meatloaf mixture into two loaves. This will give you two 2 1/2 pound loaves. One of these with adding side items is enough for my family of ten at this time. If you’re additionally cooking radishes or potatoes, wash those, cube if needed, and place on the bottom of your Instant Pot with 1 cup of water or beef broth. Place the Instant Pot wire wrack on top of the radishes or potatoes. 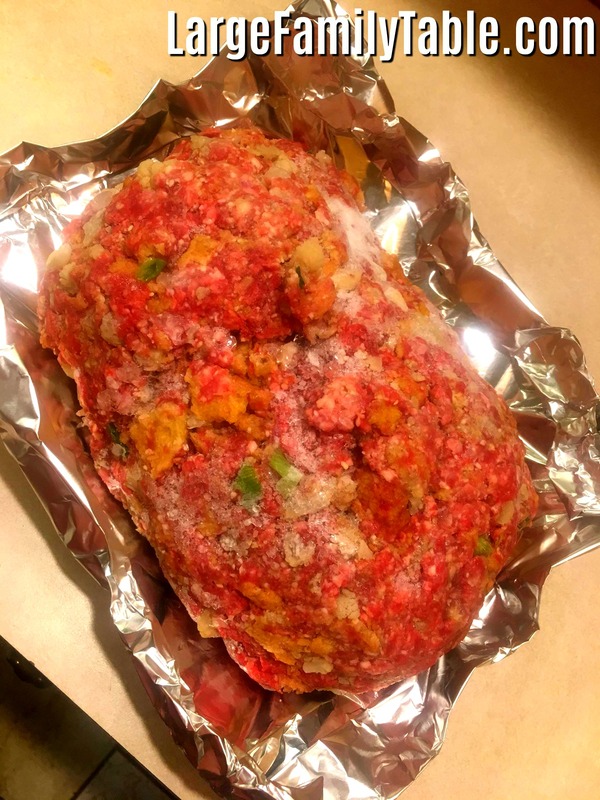 Take your frozen low carb meatloaf out of the freezer bag (run cold water over the frozen plastic bag for a few minutes if you need to loosen your meatloaf), and place the meatloaf in a foil wrap. Think of like a little foil “boat” to help your meatloaf stay together while going through the pressure cooking process. *Note the internal temp of your large family meatloaf. If the internal temp is not reached place back in IP for 10 minutes and check again. Because of the variables with pressure cooking, it’s not always a perfect science and sometimes needs additional adjustments. The USDA recommendations a minimum internal temperature of 160 degrees for ground beef. For the slow cooker just set out your meatloaf the night before to defrost in the refrigerator. The next day pull your meatloaf out of the freezer bag. Place the meatloaf in your slow cooker and cook for up to 4 hours on high and 7-8 hours on low (slow cooker times may vary so always check the internal temperature to complete doneness). 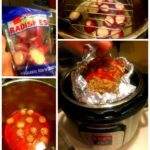 You can place radishes around your low carb meatloaf in the slow cooker for a “pretend” potato taste. 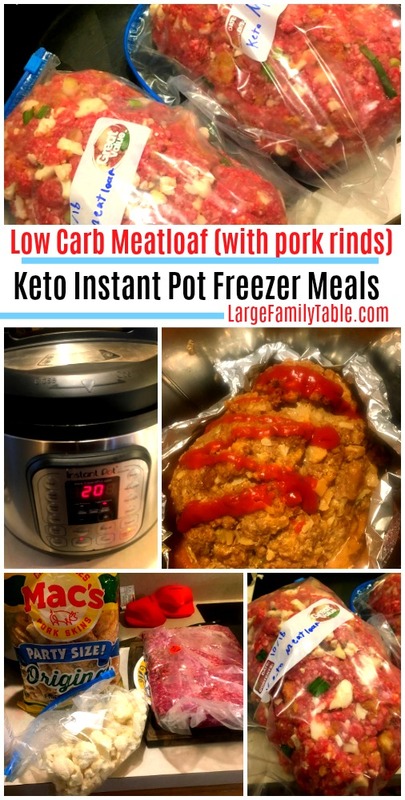 If you love this easy Large Family Meatloaf Instant Pot Recipe you are sure to love these 50 Large Family Keto Instant Pot Freezer Meal Recipes here!